With daily events, including mural tours, all week starting August 6, Vancouver Mural Festival culminates August 11 with the Mount Pleasant Street Party. | Image: Vancouver Mural Festival. Use this interactive map to see where artists are painting 30 massive murals this week. The festival also features the Painters Prom, with "a dress-up and paint-splatter zone," where you can decorate yourself for the night, and the Mount Pleasant Street Party, with graffiti jams, street-dance battles, a roller disco. and music by Hannah Georgas, the Belle Game, Schwey, beatboxer Shamik and others. Organizers say this year they tried to make sure the festival roster was comprised of at least 50 percent female or non-binary artists, artists of colour and Indigenous artists. The Museum of Anthropology at UBC hosts an afternoon that honours Indigenous knowledge, featuring a tour of the Maya Garden at UBC Farm, a lunch of Maya and Musqueam foods in MOA’s Haida House, presentations from knowledge holders of both cultures, and curator-led tours of MOA’s exhibitions. Vancouver Community Arts Council presents the second annual festival featuring visual and performing artists who've had little or no contact with the mainstream art world. Explore 83 artists’ studios, museums, art galleries and heritage sites via a self-guided tour of an area that spans some 80,000 square kilometres in Southeast BC, from Grand Forks to Revelstoke and as far east as Fernie. Nelson features the most venues, including a vintage Airstream trailer which has been transformed into a showcase for Tracy Fillion's plant-dyed clothing, and ceramics and jewellery by local and BC artists. Image: New Westminster Cultural Crawl. 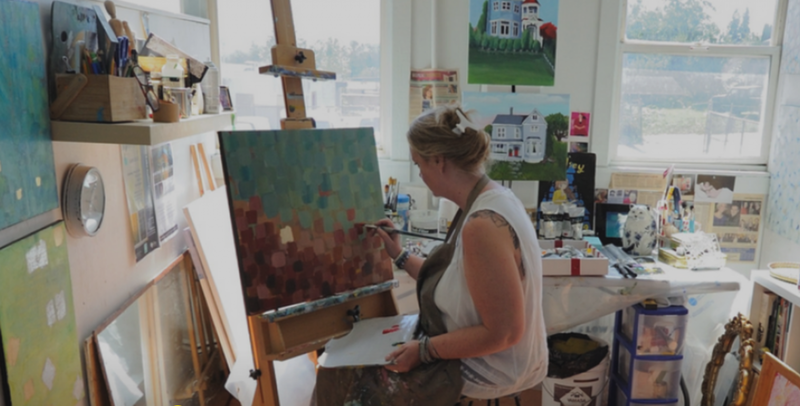 More than 150 artists show works in 37 venues, including home studios in some of the most most beautiful heritage houses in the province.